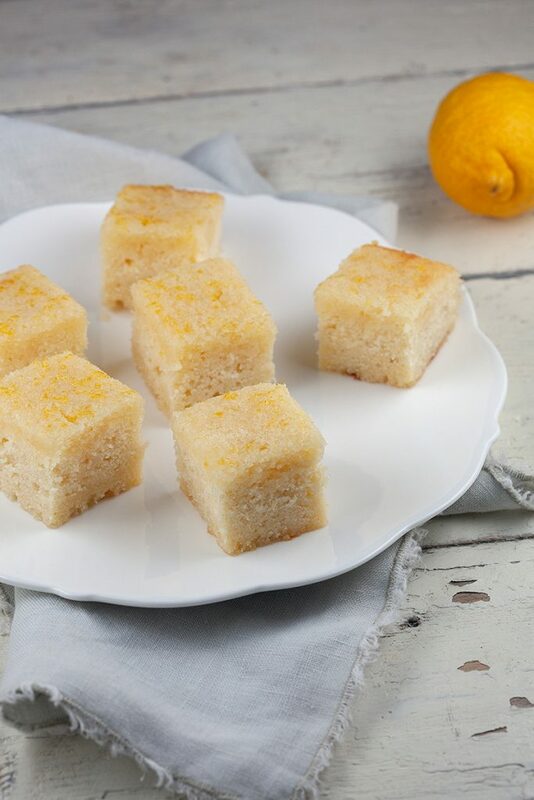 An easy lemon cake with lots of lemon. Super refreshing with a hint of sweetness. 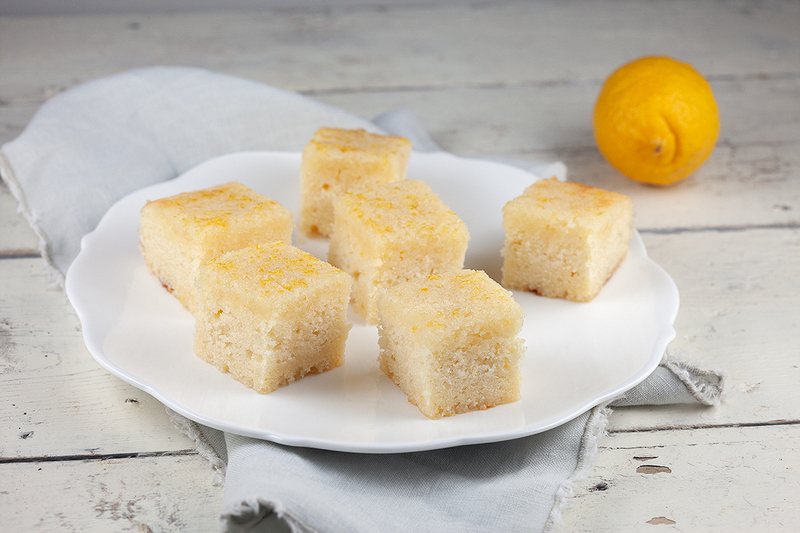 This cake doesn't need much time because of the thin layer of batter. Line a small oven dish with parchment paper en pre-heat the oven to 180 degrees Celsius or 350 degrees Fahrenheit. Grate the peel of the lemons to create lemon zest and squeeze the juice of the lemons. Beat the soft butter along with 125 gram sugar with a standmixer until the butter is pale and fluffy. Add the eggs one at a time and add the second one when the first one is completely incorporated. 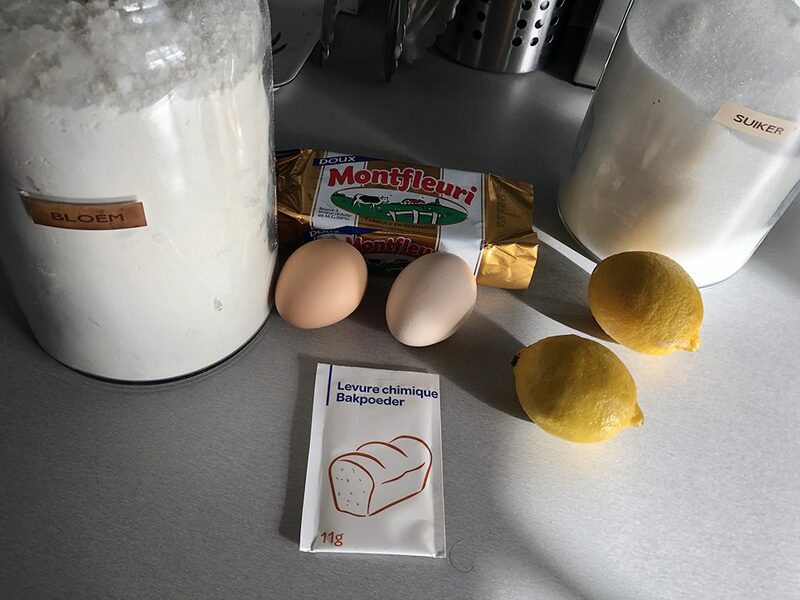 Add half of the lemon zest and juice and then also the flour and baking powder. Stir until you’ve reached a smooth batter and add it to the oven dish. Bake the cake for about 20 to 25 minutes, the exact time depends on the oven and thickness of the cake. The cake is done when you insert a wooden skewer and it comes out clean. Heat the rest of the lemon zest and juice in a small saucepan along with the extra 6 tablespoons of sugar. 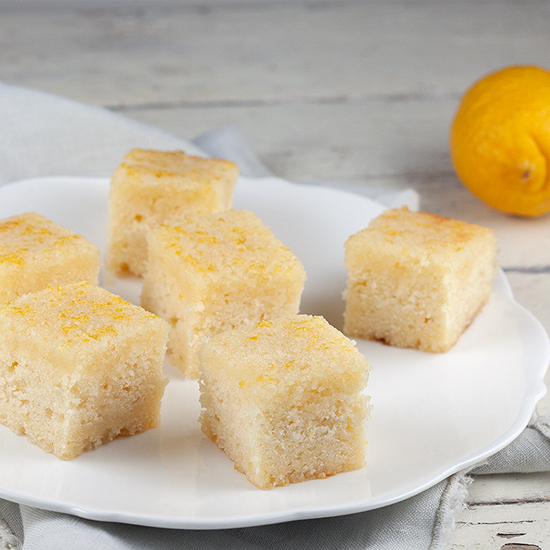 Poke some holes in the top of the cake and carefully pour the warm lemon mixture over the top. You’ll notice the cake will absorb the mixture completely. Divide the cake into pieces, slices or any shape you prefer. Enjoy!